I love a great soup. 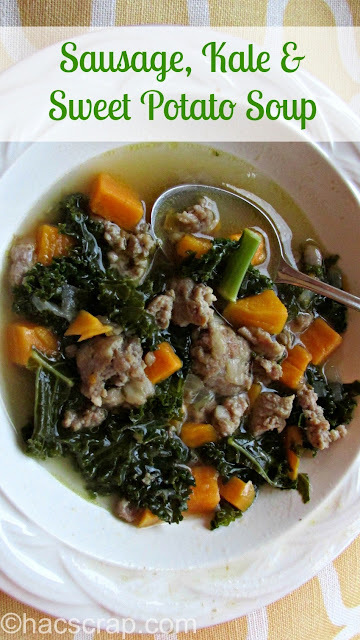 I had some sausage in my freezer that I wanted to use up on a rainy day, so I started searching the internet for soup recipes. I didn't find anything I loved, so I pieced together one of my own. It turned out really yummy, served with some crusty bread and a salad. In a large stock pot, pour in one Tablespoon of Olive Oil. Heat over medium-high heat. Chop onion and and crush garlic and add to the heated oil, cook onion until translucent and season with salt and pepper. Remove the casing from the sausage and add to your pot. Break apart the sausage into bite sized pieces and cook until browned. Peel and dice the sweet potatoes. Add them to your pot. Add chicken broth and 2 cups of water, then bring the whole thing to a boil. Chop kale and add to the pot. Reduce heat and simmer until the greens are wilted. 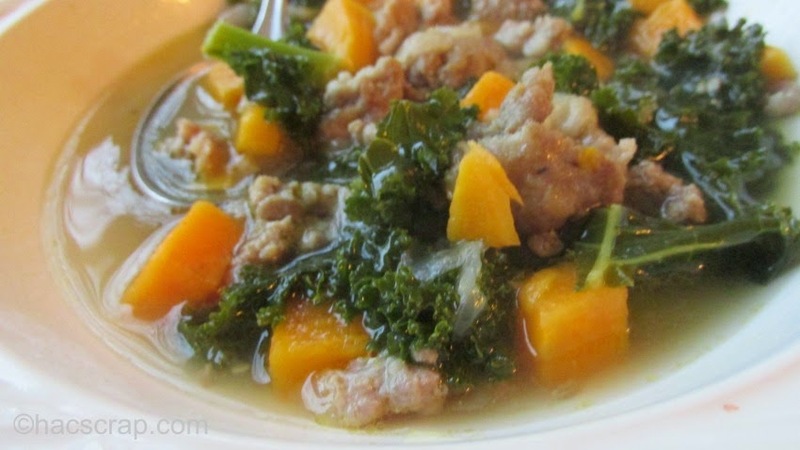 There you have it - and easy and delicious soup - perfect for a cool night or rainy day.